By establishing programs like the Hampden County Addiction Taskforce (HCAT), District Attorney Gulluni has facilitated unprecedented community collaboration toward a common and critical goal. Highly invested in the well-being of our youth, District Attorney Gulluni has launched several initiatives to help optimize it. Learn how he has successfully engaged local students in programs around education, employment, recreation and safety. Human trafficking, sexual assault and elder abuse are just a few criminal epidemics that continue to trouble our times. 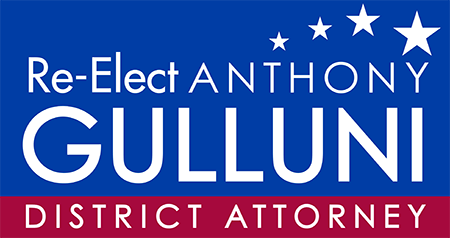 Learn about District Attorney Gulluni’s aggressive, proactive approach to a safer society. Criminal prosecution and justice for victims represent a district attorney’s central duties. With tenacity and passion, Anthony Gulluni has strategically reshaped the county’s justice system—with historic results. District Attorney Gulluni has continually prioritized his office’s critical mission to the public, creating programs that ensure a strong, supportive legal system for Hampden County. Recognizing District Attorney Gulluni’s unique strengths and proven determination, Governor Charlie Baker has appointed him to help lead some of western Massachusetts’ most critical public efforts.